Give your wine a breath of fresh air with these party-ready carafes and decanting vessels. For most meals or casual evenings at home, pouring wine directly from the bottle suffices while having a glass or two. 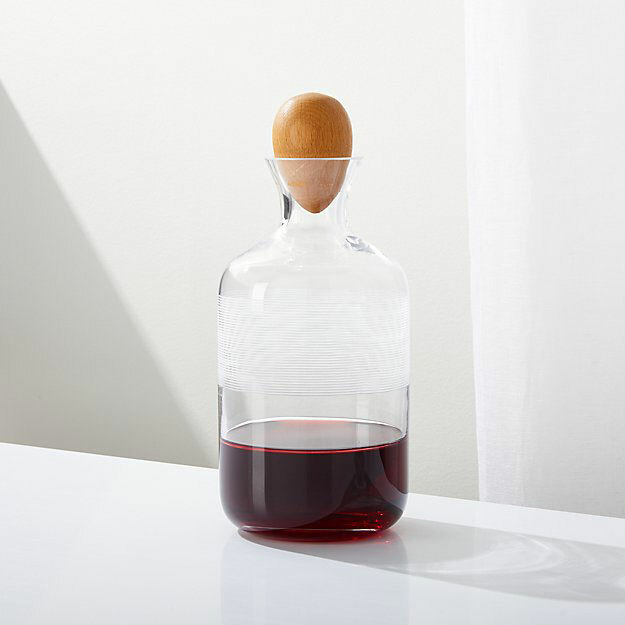 But for dinner parties, brunches, and cocktail attire-worthy soirees, serving wine in a decanter, usually made of glass or crystal, can give your best bottles an added boost of flavor and drinkability. While bottled wine is already sealed inside glass and behind a cork or a screw top until it’s meant to be enjoyed, giving wines (especially older or tannic reds) a breath of fresh air by pouring into a glass decanter or carafe can bring it to life. It’s old. Older wines tend to have sediment accumulated at the bottom of the bottle. Pour these wines slowly into a decanter and you’ll avoid getting those gunky bits in your glass when you serve it. 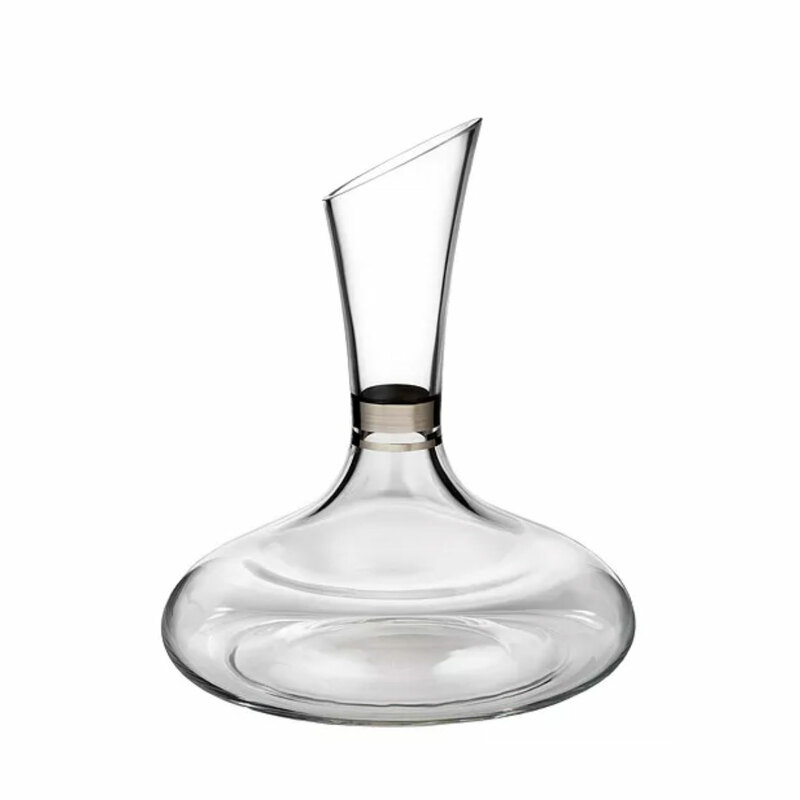 Plus, many decanters have a bulbous lower half and skinnier neck that further keeps floaters from creeping out. It needs oxygen. To get the fullest expression “as the wine interacts with air, the aromas come out, the flavors blossom, it makes the wine more delicious,” Isle says. Use a confident, heavy-flow pour to expose as much of your wine to the air as possible, as it travels from bottle to decanter. 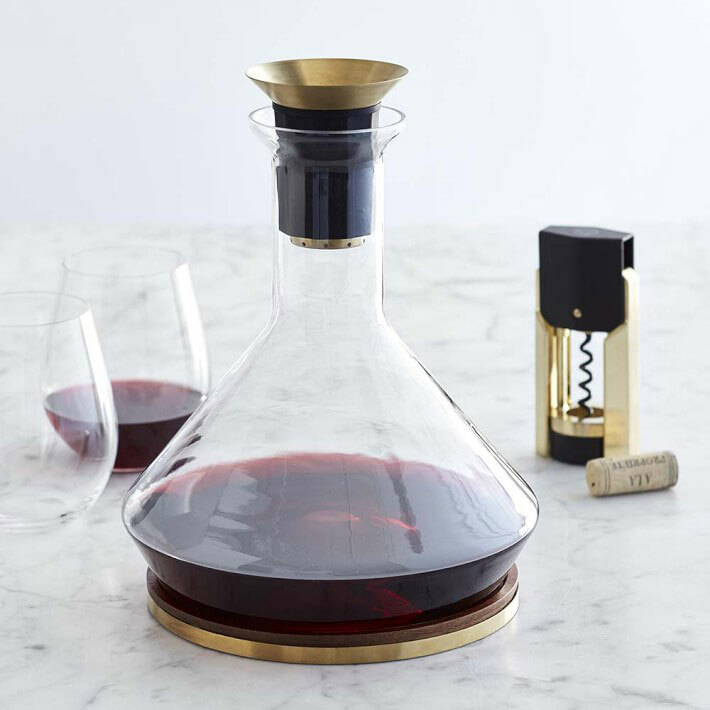 This decanting kit adds glints of gold the table thanks to a gold-colored stainless steel aeration funnel and banded acacia wood coaster. 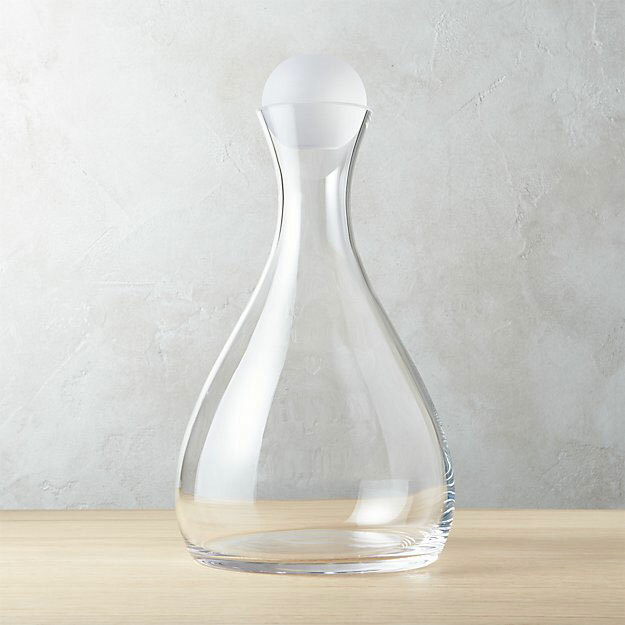 This organically-shaped carafe features a cutout that's as practical for holding and pouring as it is pleasing to the eye. 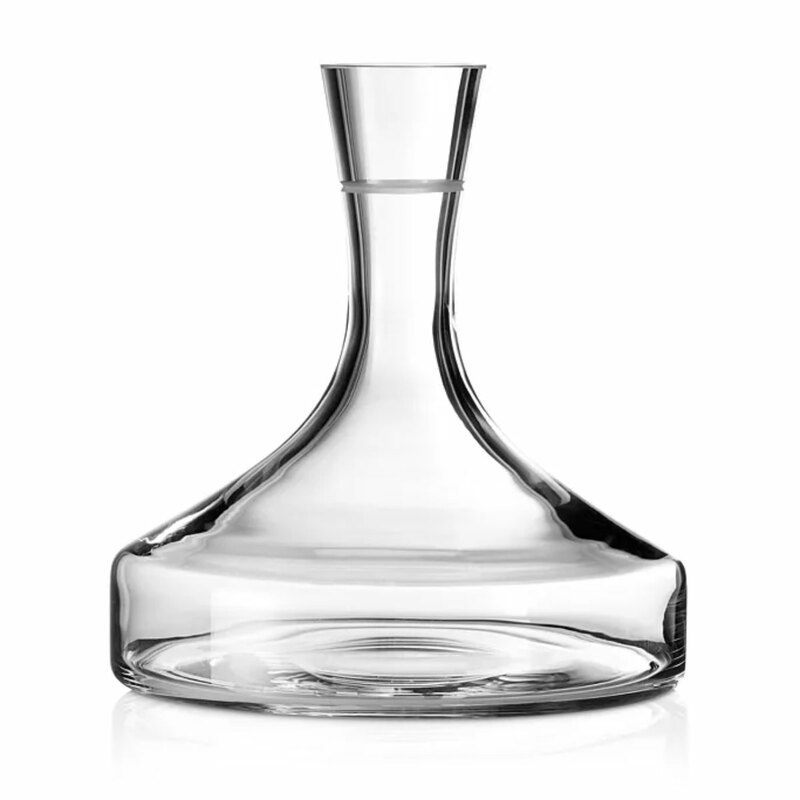 The clean lines and flat facets of this decanter will fit in with any modern or industrial tablescape. 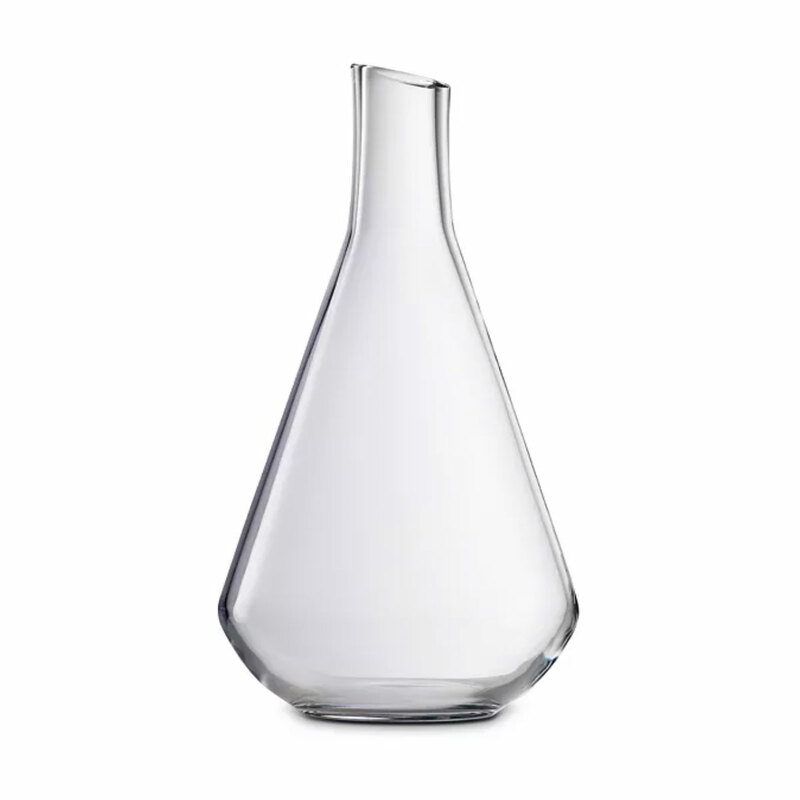 For less of a footprint, this tall decanter is sleek and simple. If your aesthetic is for funky as much as functional, the etched banding on this decanter gives it a hip — or dare we say hipster — vibe. 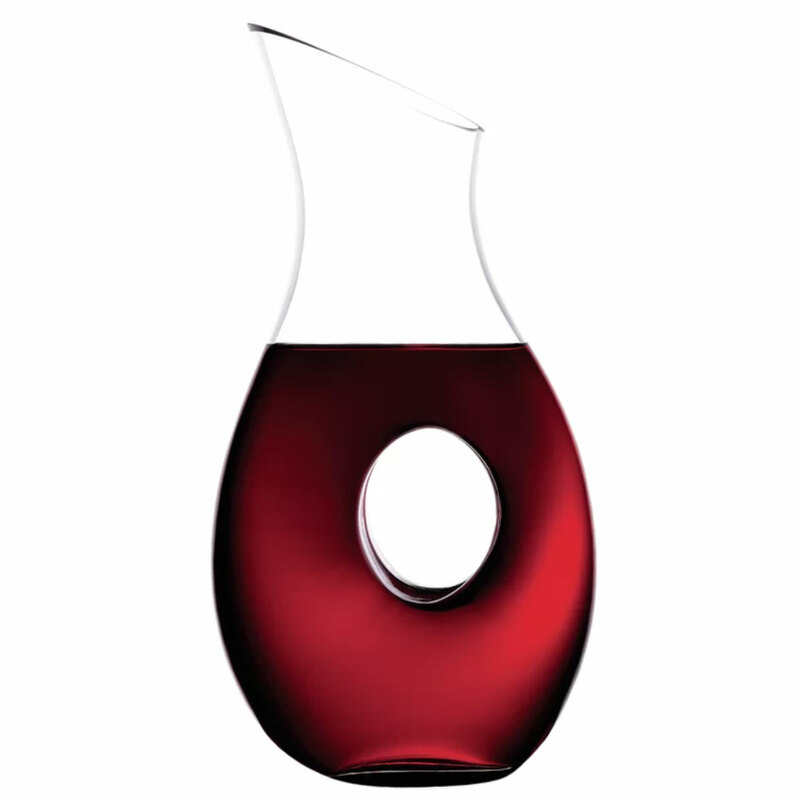 This otherwise standard decanter breaks up its smooth silhouette with two metallic bands for a bit of character. 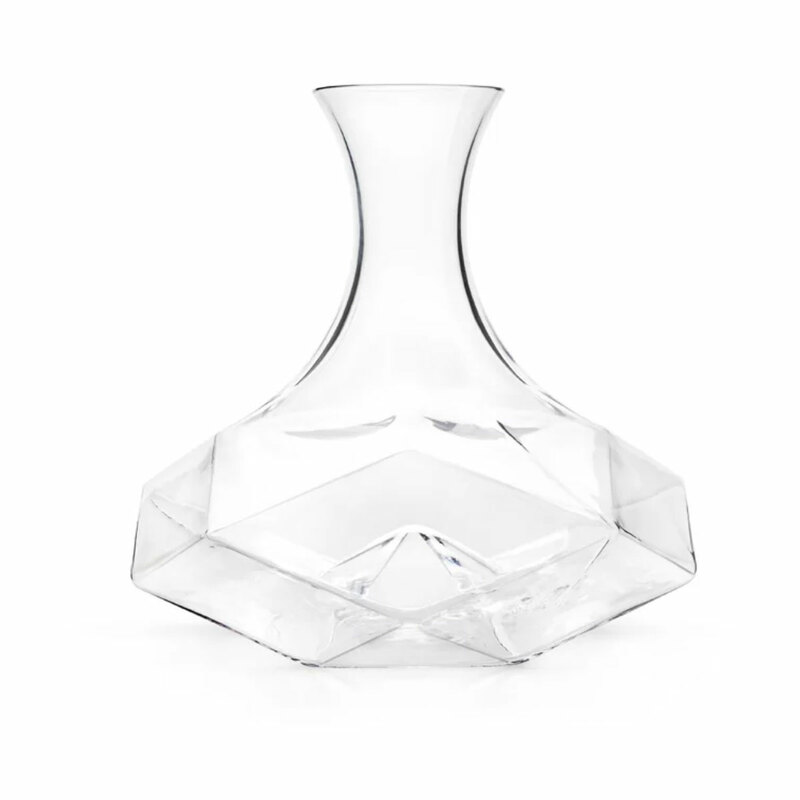 This crystal decanter is deceptively simple but makes a beautiful statement piece with its unique shape. Leave it to Vera Wang to design this elegant decanter with a cylindrical base and single etched ring that begs to be your next wedding gift. 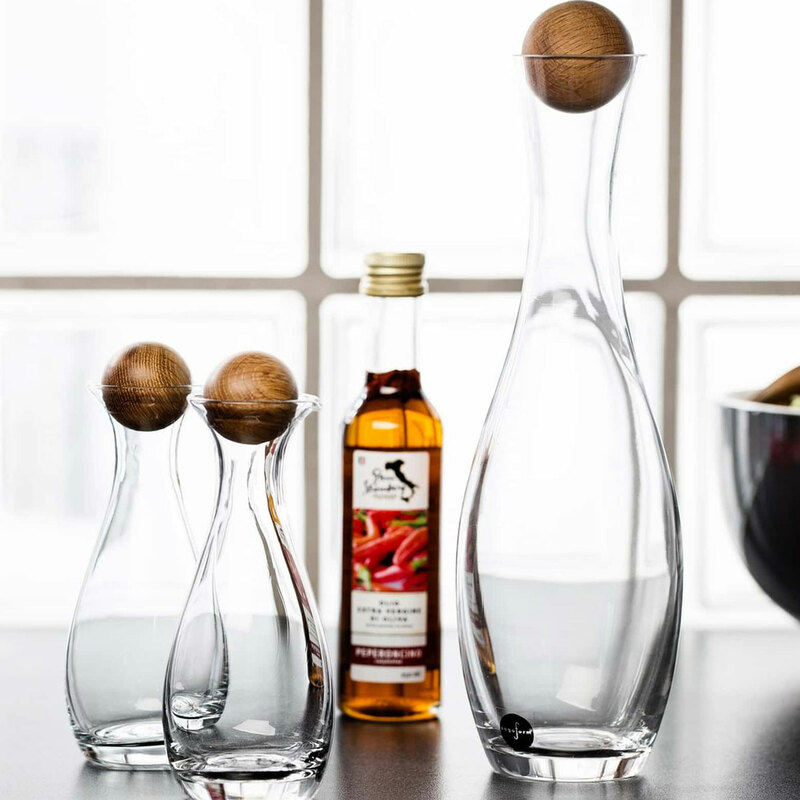 This droplet-shaped decanter is topped off by a frosted glass sphere stopper for an added element of interest.